Sturm und Drang : An audio discussion. 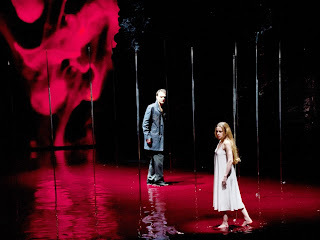 Olive Fremstad sings Isolde "Mild und leise wie er lächelt"
ORF is presently broadcasting the Thielemann lead Vienna State Opera production of the Ring Cycle from 2011. 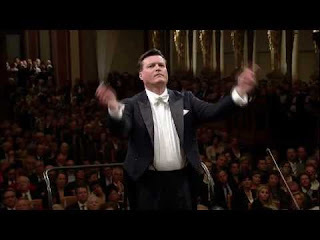 They began Friday with Rheingold, continued Saturday with Walkure These are now available at ORF on-demand for the next seven days. The cycle will continue with Siegfried on Tuesday 1 May and conclude on Saturday 5 May. 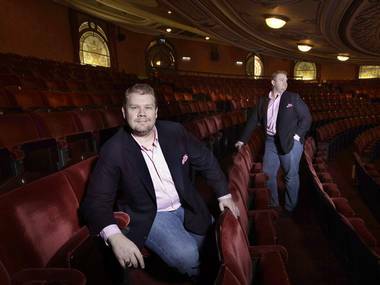 A great, blond bear of an Australian, with a voice of unparalleled beauty and strength, Stuart Skelton has made his career playing the man who is loved too little, too late or not at all. 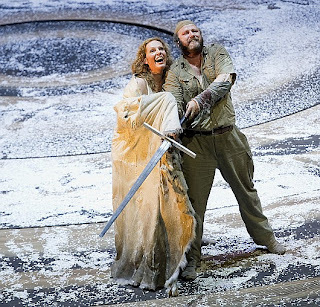 Sailing to his death in Peter Grimes, stumbling into the arms of the woman whose beauty he has destroyed in Jenufa, taking his pleasure with another man's wife in Wozzeck and Kat'a Kabanova, predestined to suffer in Die Walküre and Parsifal, he is a compelling presence. Last night, he will have watched his fiancée leave him for a ghost in Jonathan Kent's new production of The Flying Dutchman. This morning, however, he will be enjoying a leisurely breakfast with his sweetheart, Sarah, who writes on opera for the Australian press, and the most well-connected, hard-partying, social media-savvy plush-toy mascot in classical music: Pigmund the Rock Pig. Chowing down on a tuna sandwich between rehearsals in a sinister, strip-lit room in Three Mills Studios, Skelton, who likes the odd cigar, is pleased as punch to be back in London, where the walk from the stage door of the Coliseum to his apartment in Southwark lasts "exactly one Cohiba long". He flew in from New York less than 24 hours earlier but doesn't seem jet-lagged. 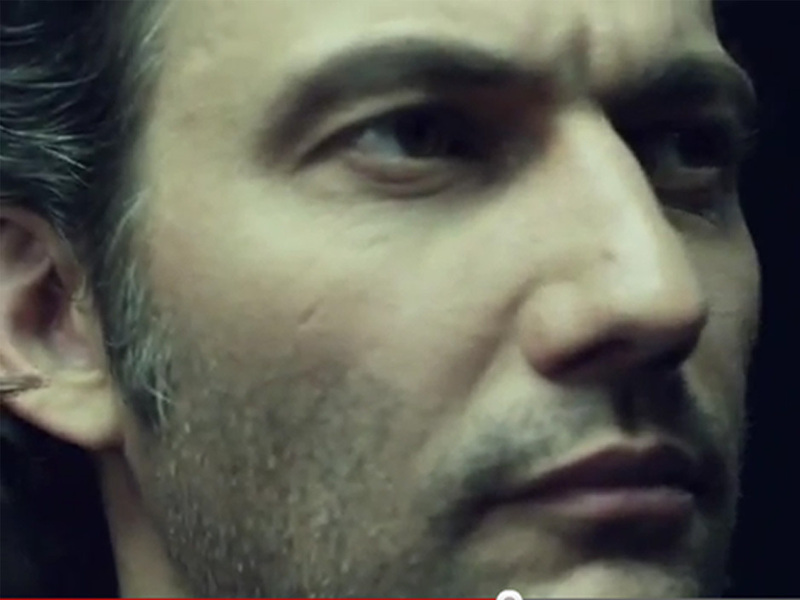 Far from melancholy or brooding, he is in his own words "pretty gregarious". (Bryn Terfel is a drinking buddy.) A foodie and amateur mixologist, Skelton meticulously documents the development of his cocktail recipes. When he makes a Negroni, he squeezes orange zest over a lighted match so that the oil puddles, just so, on the cocktail. His recipe for key lime pie Martini stipulates crushing Graham crackers "to the consistency of sand" using a bottle of Grey Goose vodka as a rolling pin. Is he a bit of a control freak? "I am a bit nuts," he admits. "I also hang my shirts left to right in colour order." Should be available for the next 7 days or so. While there are always a number of options from various radio stations I find RTE Lyric in Ireland a good source. Clicking the link below will open RTE's online player. Give it 30 seconds or so for the broadcast to start. As always, you may need to disable any popup blocker or allow this one link. 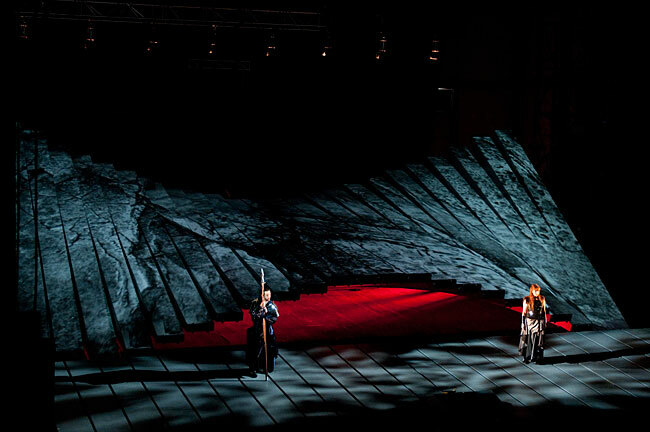 The dying Wagner reflects on his unfinished Buddhist opera, and is reconciled with his wife. Martyn Brabbins conducts a superb British cast, BBC Symphony Orchestra ensemble and IRCAM electronics. For decades, Wagner pondered an opera on a Buddhist theme. Starting from the sketches he left behind, Harvey has built a rich operatic fantasy. It mingles scenes from Wagner's domestic life with the myth of Prakriti, whose love for the Buddhist monk Ananda is at first thwarted, but finally reaches a chaste fulfilment. The UK premiere of Jonathan Harvey's opera was recorded during the Total Immersion Weekend at the Barbican in London in January. Presented by Tom Service with Professor Jonathan Cross. Jonathan Harvey: Wagner Dream (UK premiere). Tom Service: This, for both of you, is your first professional Wagner production. Is it a good place for Wagner-virgins in the audience to start? Jonathan Kent: On the simplest level, it's a fable – the story of the ghostly Dutchman and how Senta dies for her love for him. Surprisingly, there's actually quite a small opera encased in all this vast music, because it's really about just four people: the Dutchman and Senta, her father Daland, and former lover Erik. That simplicity makes it a good way to start with Wagner. And the experience of hearing the piece is just a single, headlong thrust – a white-knuckle ride. Early works by geniuses such as Wagner, or, say, Chekhov's Seagull, fascinate me – these pieces have a rawness, written before their creators had the sophistication of being completely in charge of the medium. Edward Gardner: I've always loved the heightened fairytale of the story too. And musically, I love composers' beginnings. This piece is really more a beginning for Wagner than any of the operas he'd written previously, like Rienzi.There's a question with Dutchman as to which version you do. We were convinced that it has to be the very first, from 1841, the one that is cast in a single sweep, without an interval. That way, you hear the influence of Beethoven and Weber, especially in the overture. But then the music changes to become arrestingly empty with the first entrance of the Dutchman himself, and suddenly we're somewhere else completely. TS: Much of the scariness of the sea music in the opera was inspired by Wagner's own experience of a terrifying, stormy sea-journey he made in 1839 with his wife when they were escaping his creditors in Riga and fleeing to London: they even had to shelter in Norwegian fjords before they made it to England. Does all that leave its mark in the music? 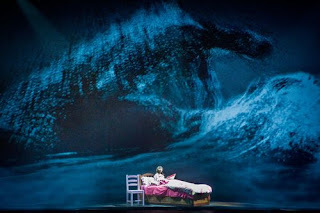 EG: I love the terror of the music in the Dutchman, there's a sustaining tide throughout the whole piece. The pacing of it is very cunning: the first act just sweeps you along, in act two there's more space for the characters to develop, and then the third act is just a thrust to the end. It's a visceral experience. And it's completely knackering for the string players! I had no idea before the orchestral rehearsals, but the music has this kind of nervous energy that's incredibly exhilarating. Some pieces leave you drained when you work on them, but this one just makes you slightly manic. JK: Yes, we're high on it! It's astonishing. EG: I think Wagner does cut a couple of corners, though, when it comes to the drama. That description of the bond between the Dutchman and Senta – it's very hard to get a sense of that, don't you think, Jonathan? JK: The way we've done it, it doesn't matter who the Dutchman really is. The point is, he's an escape for Senta, a respite from her own life. Whether it's a genuine love for him that she feels is another question; he is the embodiment of her fantasy of escape. The Dutchman is in eternal exile on the seas – a curse for invoking Satan – and he'll only be freed if he can find someone to love him faithfully. But Senta is also an exile of sorts in her own community, and out of necessity she focuses on this fantasy figure. 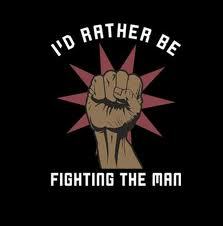 Our production is a battle between the world of the imagination and the banal reality of our lives. So Senta's world is contemporary, while the Dutchman and the crew of his ghost ship are in 19th-century dress. The story operates on one level as a ghost story, but it's interesting to penetrate the psychological roots of the myth – the Ancient Mariner, the Wandering Jew. 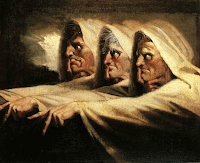 What I love about Wagner's treatment of it is that it's not preoccupied with the crime – the Dutchman's invoking of Satan – it's preoccupied with the punishment. That's what makes it much more interesting, to me, than, say, a Faust or a Don Juan. Frank van Aken will make his Met debut as Siegmund in Die Walküre at todays matinee performance, replacing Jonas Kaufmann who is ill.
Van Aken has sung Siegmund with the Deutsche Oper am Rhein in Düsseldorf and at the Frankfurt Opera where he has been a member of the company since 2006. The Dutch tenor sang the title role of Tannhäuser at the Bayreuth Festival in 2007 and made his Vienna State Opera debut in the same part in 2010. Other Wagner roles in his repertory include the title roles in Tristan und Isolde, Parsifal, and Lohengrin, and Erik in Der Fliegende Holländer. To listen from other sources please check Opera Cast's comprehensive list by clicking here. I have updated the contact email address. 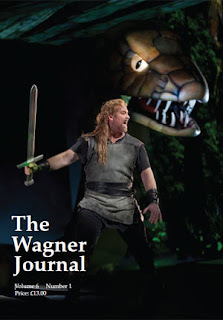 Should you so wish, and don't be shy, contact us with news of: Wagner related events, books, performances, news, etc..
"As it is, I thought he effectively walked off with the whole show." "Toby Spence’s longer experience of singing David told: his breezily confident charm almost stole the show, leaving me wondering whether he might be ripe to step into Walther’s shoes"
"Toby Spence and Heather Shipp are as good as it gets as David and Magdalene"
"Toby Spence challenges him for the tenorial honours as a David of soaring tone and impeccable youthful vitality - what a roll this artist is on the moment". It thus comes as a shock to discover, as announced today, that Spence was diagnosed the morning after his first performance as having thyroid cancer. Said Spence today: "My cancer was diagnosed the morning after I'd been on stage for the first performance of The Royal Opera's production of Die Meistersinger Von Nürnberg. It was a shock, especially with the cancer being so close to my vocal cords. The surgery has been a great success. My thyroid cancer was readily treatable and I have been in the hands of a first class medical team at University College London Hospital. They are delighted with my progress since the operation. Although I have had to allow time for the natural healing process to take its course, I am encouraged by my progress so far and feel hopeful that I will return to full vocal strength in the near future. I look forward to being back on stage before long, and am grateful to all those who have shown me support and who have sent me their good wishes." We join those hoping for a speedy return to the stage of this fine performer. It is hard to imagine that this sort of thing was far more common for Wagner performers. 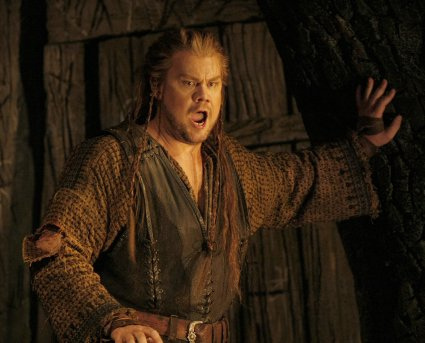 WHEN the scheduled tenor for the English National Opera’s upcoming production of Richard Wagner’s The Flying Dutchman, Australian Julian Gavin, fell sick, the ENO made a trans-Atlantic call to another Australian, operatic star Stuart Skelton. No worries that Skelton was already booked to sing the role of Siegmund in Die Walküre on 13 April 2012 with none other than the New York Metropolitan Opera. With a bit of flexibility from The Met, Skelton was able to notch up some more frequent flyer points and save the day for the ENO. Already in talks with opera companies for 2016, Skelton is clearly a musician in demand. After putting aside his undergraduate economic textbooks in the early 2000s, Skelton won a prestigious opera scholarship to study in the United States. The accolades and the professional invitations have been plentiful ever since. Successes in major operatic venues across Europe, the USA and Asia and appearances with classical musical legends including Daniel Barenboim have cemented Skelton’s status as a world-class singer. Now living in Florida, Skelton has made a name for himself as what the opera buffs know as a “heldentenor”. With powerful, booming voices that can reach the back of opera halls the size of hangars, heldentenors are usually associated with the operas of German giants Wagner and Richard Strauss. London has been a constant venue of success and Skelton has not missed an opera season in the Old Dart’s capital since his debut with the ENO in 2006. Recent performances in Peter Grimes (2009) and Parsifal(2011) were greeted with unbridled acclaim. For this season’s production of Wagner’s The Flying Dutchman Skelton will reprise the role of Eric, one that he has already interpreted almost 90 times. Eric is the loser of a highly unusual love triangle. His long-term girlfriend, Senta, falls in love with The Flying Dutchman, the cursed captain of ghoulish schooner akin to the Black Pearl in Pirates of the Carribean.Senta’s love and death releases The Flying Dutchman from the devil’s curse that had him sail the seas forever. Eric, understandably, is far from pleased that the woman he expected to marry runs off with a cobweb-ridden phantom. But playing Eric as a sobbing pantywaist is what Skelton tries to avoid. And despite almost making a century of Eric appearances, Skelton’s Eric is far from getting stale. “It’s not a difficult job to stay fresh in it because there are so many different things each time,” says Skelton. This dramatic production by the brilliant German stage director Harry Kupfer marked Daniel Barenboim’s appointment as the artistic director of the Berlin State Opera in 1992. The cast is made up of the finest Wagnerian singers of the period, all of whom enjoyed substantial international careers. Barenboim’s superb conducting reveals Wagner’s multi-layered score in all its glory. "These 'Meistersinger' are, to Wagner's other conceptions, much the same as the 'Winter's Tale' is to Shakespeare's other works. 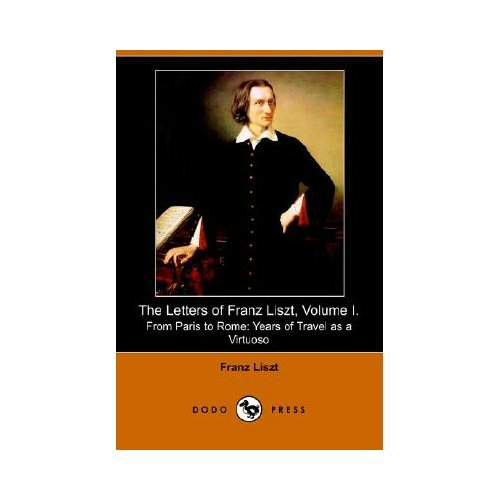 Its phantasy is found in gaiety and drollery, and it has called up the Nuremberg of the Middle Ages, with its guilds, its poet- artisans, its pedants, its cavaliers, to draw forth the most fresh laughter in the midst of the highest, the most ideal, poetry. Exclusive of its sense and the destination of the work, one might compare the artistic work of it with that of the Sacraments-Hauschen of St. Lawrence (at Nuremberg). Equally with the sculptor, has the composer lighted upon the most graceful, most fantastic, most pure form,—boldness in perfection; and as at the bottom of the Sacraments-Hauschen there is Adam Kraft, holding it up with a grave and collected air, so in the 'Meistersinger' there is Hans Sachs, calm, profound, serene, who sustains and directs the action," etc." I have noticed, once again, companies selling copies of this through various outlets. If you do not know: these were first published over one hundred years ago and are thus in the public domain, the original texts were carefully restored and scanned by volunteers with the intention of making them freely available, they are, as I think the above quote would suggest, well translated and a mine of information and interest to anyone with an interest in Liszt, Cosima, others associated with Wagner or indeed Wagner himself. • in ‘Jews, Music and Wagner’, David Conway, author of the recently published book Jewry in Music, describes the entry of Jews into 19th-century European music professions, arguing that the vicious reaction it provoked was far wider than that associated with Wagner’s writings. new books by Eva Rieger on Wagner’s women, by Simon Goldhill on the politics of Hellenism and by Paul du Quenoy on the history of Wagner and wagnérisme in France. 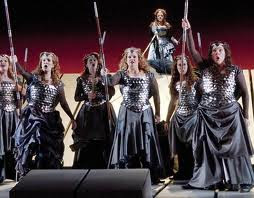 ENO have announced their 2013 season but surprisingly, while marking Britten's centenary and Verdi's bicentenary, they may be one of the only major opera houses not staging Wagner. Why? 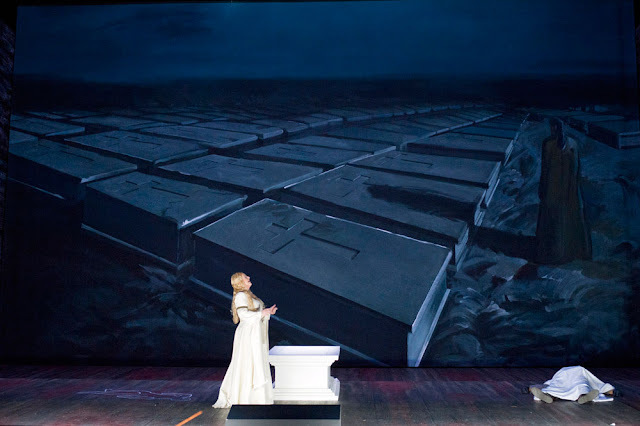 Says artistic director John Berry: "The problem [with Wagner] is finding the right singers who can sing it in English," Although this doesn't seem to have stopped them attempting the Dutchman premiering this Saturday or indeed the recent successful Parsifal. 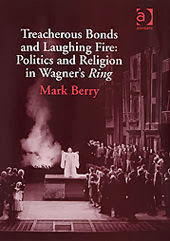 More tellingly perhaps, Berry went onto note that staging Wagner was "cost prohibitive". This seems surprising, given the amount of public funding ENO receives (£17,078,058 in 2013) which places them fourth in the list of UK arts organisations receiving public funding.) More so, when one considers that Opera North and Welsh National Opera (who receive a fraction of the funding) are able to stage a number of what are typically considered "expensive" or difficult to stage Wagner productions. Neither has it stopped houses that receive no public funding such as Grange Park, Longborough Opera festival, Fulham Opera or indeed Glyndebourne staging successful and substantive works by Wagner in recent years. Whatever may be the case, Berry did suggest some hope for Wagnerians with a production of Tristan in development and perhaps a Meistersinger in a few years. From the home of the now legendary "Goodall Ring" ( and Meistersinger) one can only hope. The Wagnerian: New look, new address and "fighting the man - man"
2 - At some stage I intend to move to a better CMS then I am presently using. Having a personal domain now will make that far easier in the future. If your wondering, that simply means that I should be able to offer more advanced features to you dear reader - allowing better access to Wagner information. I have not implemented this yet as I wish to take much time with the design. One would hate to have the issues being suffered by those poor "techies" over at the ROH's ticket booking service - who have my genuine sympathies. 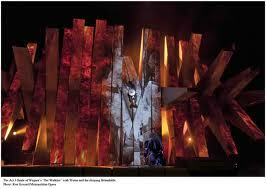 Till recently The Wagnerian's web address was: thewagnerian.blogspot.com. However, as of a few days ago the web address that you, dear reader, would see at the top of your browser would be specific to your country. So, if you lived in the USA it would be: thewagnerian.blogspot.us; in the UK thewagnerian.blogspot.co.uk; in India: thewagnerian.blogspot.in. TW: So tell us Google, why did you go to the bother of making these changes? Google: "Migrating to localized domains will allow us to continue promoting free expression and responsible publishing while providing greater flexibility in complying with valid removal requests pursuant to local law. 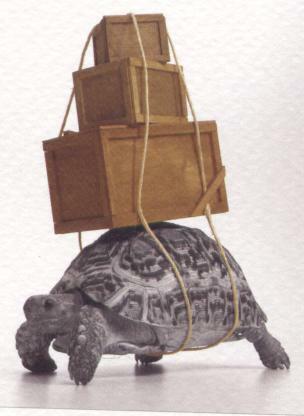 By utilizing ccTLDs, content removals can be managed on a per country basis, which will limit their impact to the smallest number of readers. Content removed due to a specific country’s law will only be removed from the relevant ccTLD". TW: Freedom of speech? Well that sounds a worthy cause and reason. Thanks for that google. Google: "Your welcome, Now you must excuse us as we still need to spend the billions in our "patents war-chest" that we made from censoring, on-demand, the Internet in China. TW. Your welcome and thanks for...hang on a minute...! In essence, the recent change by google means that should you have a blog who's content is a subject a particular country dislikes then google can simply block it from being viewed in said country. A little oversimplified but in essence that's the rationale. As I said, while there are "workarounds" for this at the moment (a simple piece of code after ones heading tag in ones template should suffice) the entire thing leaves a rather nasty taste in ones mouth and ( like advertising and "sponsored posts" - e mailers take note) is not something I wish to be part of. So please, excuse my little idiosyncrasies. Anyway, so what does this name change mean to you? Nothing at all, assuming I have done this right. Any bookmarks, feeds, links etc should work as normal and be redirected. Sorry, I have been so busy that I forgot to post this earlier. 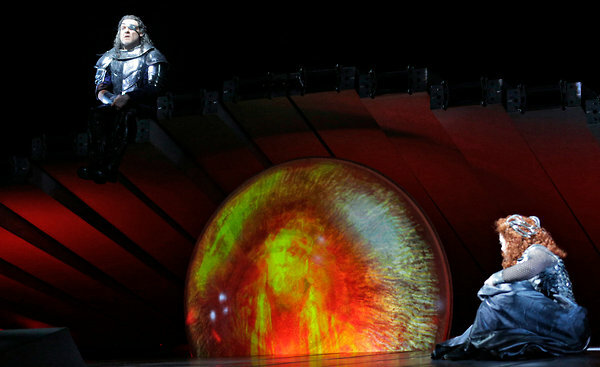 If you missed Saturday's (21/04/12) broadcast of Siegfried from the MET then you can still catch it at a number of sources. Might I recommend, if you have been unable to track it down, listening over at RTE Lyric FM on their on-demand player? It is difficult to know how long it will remain available with MET broadcasts but I would suspect at least for the next 5 days or so. Clicking this link will launch RTE Lyric's player. 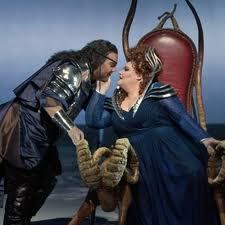 Lepage discusses making changes to the METs Ring Cycle - it makes less noise now. “But when you see them as a package, it’s like connecting Christmas tree lights. "Mr. Lepage finished the sentence with a lemon-sucking face. “These people — go see a concert version of the ‘Ring." Daniel Wakin of the NYT in a rather revealing conversation with Lepage, about the New MET Ring, the changes he has made and why. 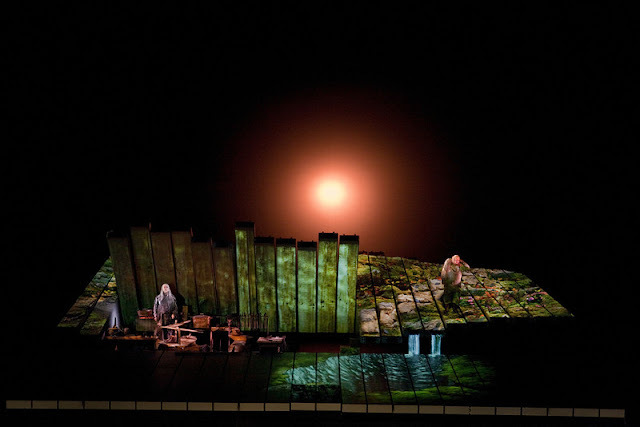 Through May 12 the Metropolitan Opera is mounting three complete cycles of the four operas that make up Richard Wagner’s “Ring des Nibelungen.” After performances of the individual works over the last two seasons, the director, Robert Lepage, has made changes throughout. In a recent interview in a small, unadorned office at the Met, Mr. Lepage detailed some of those changes and responded to the criticism that has dogged his “Ring”: part of the scrutiny typical of productions of such a singular work with so many passionate followers. In the original “Rheingold” gods made entrances by sliding down a slanted portion of the giant set, which has 24 revolving planks on an axle that can rise and fall. Now they simply walk onstage. “It wasn’t working,” Mr. Lepage said. 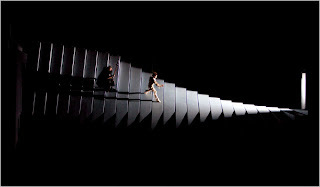 The production makes heavy use of projections, creating flowing rivers, trees, squirmy worms and other elements. Sometimes the projections could be seen on the singers’ bodies. Simply repositioning the follow spotlights helped wash away those unwanted reflections, Mr. Lepage said. Other factors are having an effect on cycle performances, he added. The sheer time spent on the huge machine has made the singers more comfortable and creates a greater sense of ease on the stage. Bryn Terfel, the Wotan, has lost around 30 pounds. His changed appearance had to be taken into consideration, Mr. Lepage said. A slimmer Wotan looks younger, which is more fitting with the character in “Rheingold,” who has an element of the philandering husband. 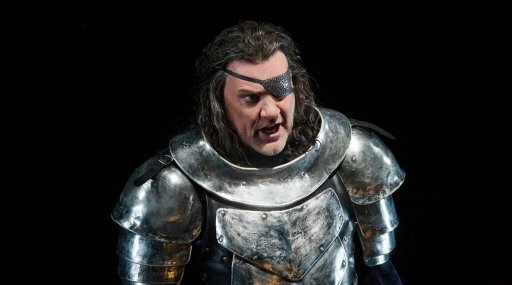 “The Wotan he does in ‘Rheingold’ looks much younger and hunkier,” Mr. Lepage said of Mr. Terfel, “so the whole aging of the character comes into play” through the next three operas, he said. Mr. Lepage also said measures had been taken to deal with one of the production’s main flaws: the groaning and grinding of the 45-ton set as it transforms into different configurations. Less quiet moments in the score were found for its manipulations. Stagehands also figured out how to move it in a way to reduce noise. 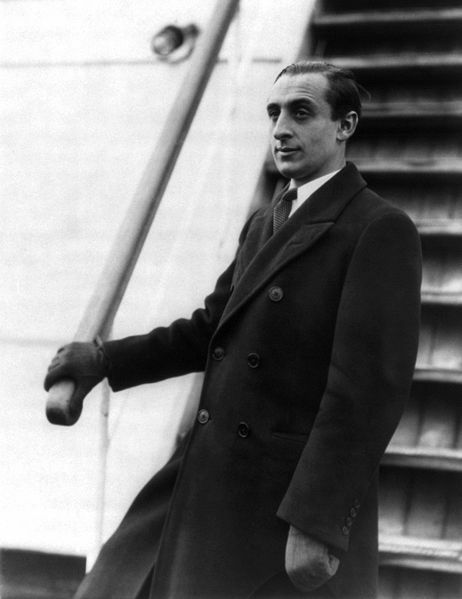 It took the legendary pianist three separate days to record this piece to his satisfaction, and he died a mere four days after its completion on November 5, 1989. I have already posted some videos from the NYWS but it had recently occurred to me that I had not mentioned the YouYube channel itself, and the ever growing amount of interesting videos they are making available. 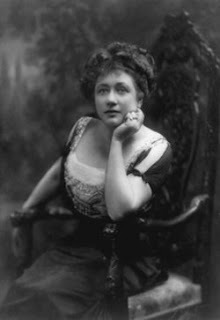 From interviews with the MET Ring Cycle cast (Hunter Morris, Meir, Lepage, etc), to performances of Liszt to lectures on Wagner and Science fiction,.there is much to discover in an ever growing media library, free to view. BERLIN—On any given night during the Cold War, West Berlin's Deutsche Oper could lay claim to being Germany's best opera company. It still boasts Berlin's largest opera house—a mammoth functionalist wonder, opened within weeks of the building of the Berlin Wall in 1961—but it has lost ground in the past decade to its two competitors in the former East, the Komische Oper and the Staatsoper Unter den Linden. 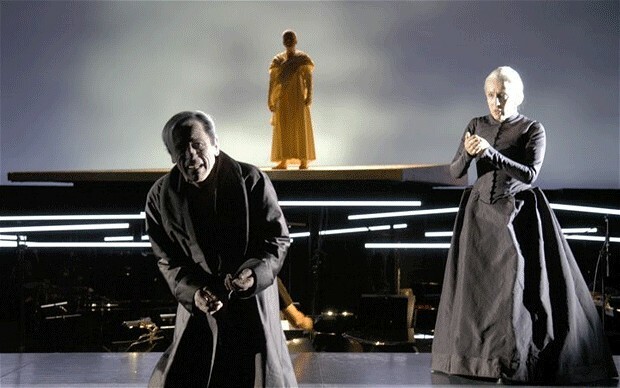 Now, the Deutsche Oper is heading toward a new high note, with Sunday's première of Wagner's "Lohengrin" serving as proof that the company's constituent parts can blend into an impressive whole. A main reason for the resurgence is the in-house chorus, led by American conductor William Spaulding: for three of the past four years, it has been selected as German-speaking Europe's best by Opernwelt magazine. Another is Scottish conductor Donald Runnicles, who arrived as music director in 2009. All are in top form for "Lohengrin," whose orchestral prelude and choral passages are the musical crux of any performance. The staging itself is a bit too traditional for the thoroughly radicalized German audience, who demand novelty as well as musical perfection. 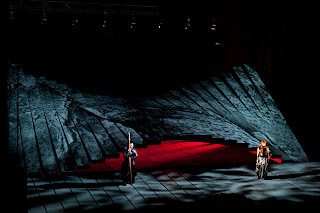 Created by A-lister Kasper Holten, the Dane known for his Copenhagen Ring cycle and now director of opera of London's Royal Opera House, this "Lohengrin," which is set in the Middle Ages, actually has principals dressed in medieval-looking costumes. An effective anachronistic touch comes with the chorus, who are dressed as soldiers from wars at any time in the past millennium. 1 To speed up load times - especially on slower connections. It tends to get a little "media heavy" around here and hopefully the new layout will help to counter this. 2 This is probably less a blog than a Wagner news source and I believe the new layout both better reflects this and makes browsing for information easier. I am presently "beta testing" a new look for the blog, in an attempt to make it more user friendly, to allow things to be found with greater ease and speed up load times (I know its far to "media heavy at the moment"). With this in mind I was hoping some kind souls could take a look at the "The Wagnerian Beta" by licking this link and providing feedback either there on the latest post or via twitter? Highly interesting, although I am "saddened" at a Kindle price of £44 at the moment. But I suppose that is an entirely different subject. Publishers description below, followed by the first part of a Guardian review - follow the link to read in its entirety. Why do we sing and what first drove early humans to sing? How might they have sung and how might those styles have survived to the present day? This history addresses these questions and many more, examining singing as a historical and cross-cultural phenomenon. It explores the evolution of singing in a global context – from Neanderthal Man to Auto-tune via the infinite varieties of world music from Orient to Occident, classical music from medieval music to the avant-garde and popular music from vaudeville to rock and beyond. Considering singing as a universal human activity, the book provides an in-depth perspective on singing from many cultures and periods: western and non-western, prehistoric to present. Written in a lively and entertaining style, the history contains a comprehensive reference section for those who wish to explore the topic further and will appeal to an international readership of singers, students and scholars. Singing is a human capacity that seems absolutely natural and even constitutive of our humanity. Nothing could be more affectingly human than the imagined scene of a mother or father singing a child to sleep, or a child waking up singing to itself in the morning. An inability to sing is experienced as isolating, and those who claim that they just can't hold a tune seem to think of it as a great sadness. Any worthwhile vocal cheerleader – Gareth Malone from the TV programmes The Choir and Military Wives is the latest, excellent example – will tell the terrified and tuneless that, actually, anyone can sing. Apart from the impediments of age or physical disability, the essentially psychological blocks that constitute being, in the loose and commonplace sense, "tone deaf" can be coaxed away. 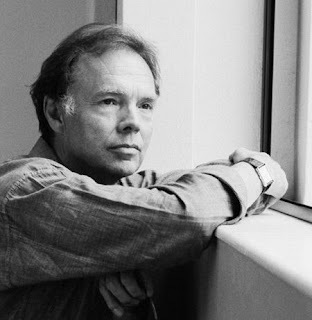 John Potter is a distinguished singer (a longstanding participant in the English early music scene as a member of the Hilliard Ensemble and Red Byrd) and sometime academic; his co-author, Neil Sorrell, is a scholar of Indian and Javanese music, co-founder of the English Gamelan Orchestra. Their fascinating and dense book A History of Singing reminds us – one might expect as much from writers of such diverse backgrounds – of the disorientating variety of song traditions in human cultures, historically and geographically. Singing may seem to be a simple, natural ability, but it is always mediated by culture; the authors quote the French ethnomusicologist François-Bernard Mâche's account of the Toraja of Sulawesi (in Indonesia) who have no lullabies, wedding songs or dirges and "never make music for the sole pleasure of singing or listening" but only as a matter of ceremony. Potter and Sorrell's first chapter, "Origins, Myths and Muses" comes up against the central problem of any historical account of singing: almost all of the evidence, written in the air, has dispersed. We know that the human vocal tract has been around for millions of years, but we're not even sure how or why it evolved – to make swallowing safer, or to aid human communication, or both. We can tell the sort of just-so stories favoured by the evolutionary psychologists, but Rudyard Kipling's originals often seem just as much evidence-based and a good deal more entrancing (my favourite account of singing in the mists of time is the Woman in "The Cat that Walked by Himself", who makes the first singing magic). "No genetic imperative for singing has been discovered in human beings," we are told, "although highly structured sounds are produced by members of every society." Highly structured sounds are one thing, singing another, though whether Potter and Sorrell's careful definition of singing – "a tuneful and pleasant vocalisation of discrete pitches" – will stretch to accommodate Lotte Lenya, Bob Dylan or Lou Reed is a moot point. Once the historical record starts, of course, we have indirect evidence of what singing in western Europe was – increasing amounts of it, although it remains hard to interpret. Treatises on singing, for example, are often written by less successful singers, those with an agenda about declining taste or professional opportunities. Potter and Sorrell are imaginative and acute with sometimes fugitive evidence, pointing to the pictures of huddled monks singing to suggest that the relish for resonance that we associate with church singing (and singing in the shower) is not necessarily universal. I came across this over at the Boston Wagner Society and thought that if you were in the area you might be interested. A little background on this is available over at the excellent Monsalvat in an article named How Humperdinck Saved the Day. 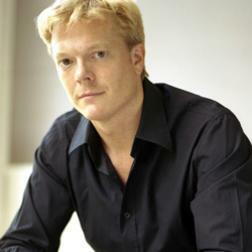 Maestro Brody, conductor, composer, pianist, and coach, will speak about Humperdinck’s musical contribution to Parsifal. Humperdinck’s addition came about in an unusual way. At the opera’s 1882 premiere in Bayreuth, Wagner needed a longer Transformation Scene. Humperdinck, who was Wagner’s assistant, stepped in and wrote a few extra bars, which solved the technical problem of the transition. Humperdinck’s addition to Parsifal languished in obscurity until Maestro Brody, with the help of an archivist at Bayreuth, obtained it from the University of Frankfurt. 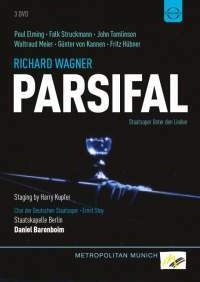 In addition to listening to Humperdinck’s contribution, we will watch various Transformation Scenes from different productions of Parsifal. MILAN (AP) — Daniel Barenboim will conduct Wagner's "Lohengrin" for La Scala's gala season opening next December, as the famed Milanese opera house launches a yearlong musical celebration of the dual bicentennial of the births of composers Giuseppe Verdi and Richard Wagner. The season's program announced Friday includes seven Verdi productions and six by Wagner, including the entire "Ring" cycle performed in the span of a week. Teatro alla Scala was Verdi's musical home, and the theater will honor his birth on Oct. 10, 1813 with productions of works including "Nabucco," ''Aida," ''Don Carlo," ''Falstaff." General manager Stephane Lissner also anticipated its 2013 gala premiere, announcing that Daniele Gatti will open the 2013-2014 season with Verdi's "Traviata." As part of the celebrations, Barenboim will also conduct Verdi's "Requiem" on August 27 — anticipating the actual season premiere by several months in order to launch a tour of La Scala's orchestra and chorus of the music festivals in Lucerne, Switzerland and Salzburg, Austria. The prominent inclusion of Wagner, born May 22, 1813, in next year's program shows the influence of Barenboim, who carries a deep appreciation of the German composer's work. 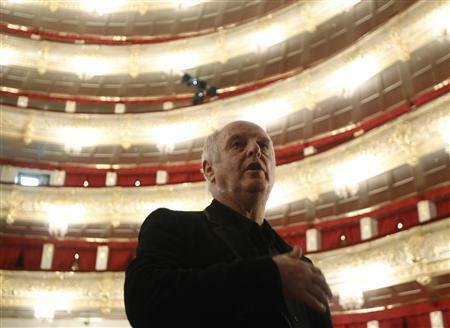 Barenboim last December was named music director, after five years in the less formal role of "Maestro of La Scala." 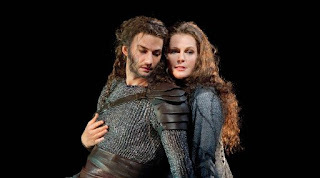 The season-opener "Lohengrin" will feature German bass Rene Pape as King Heinrich and tenor Jonas Kaufmann as Lohengrin. La Scala's orchestra will also do a five-week tour in Asia, with stops in Japan and for the first time in Beijing. Lissner announced next year's program just days after the Italian government freed La Scala from financial and bureaucratic constraints that Lissner said would help the opera house confront the economic crisis. "Italy and Europe are experiencing difficult times," Lissner said. "But to celebrate Verdi, there's a living La Scala theater, that never gives up and looks ahead." I have already reported below, on Performance Lab 115's adaption of the Ring as a WWF wrestling event (which is at least intelligent, satirical and somewhat amusing) but in a more bizarre turn of events the ROH have just released a promo video (part of their new "World Stage 2012/ 2013" marketing campaign) featuring Jonas Kaufmann promoting McVicker's new production of Les Troyens: cheap pop music playing in the background, set in a boxing ring and looking for all the world like a promo for some cheap teen aftershave. Indeed, it is difficult at first, to be sure what it is actually "selling". You might want to checkout the campaigns promo for Thomas Allen in Hansel and Gretel also below. Most of the promos in this campaign, while featuring what are without doubt serious and world class performers, play anything but "classical music" in their respective soundtracks. Perhaps this is the ROH's new way of getting a "young" audience to the opera and ballet: show them videos featuring "slick" images, full of seizure inducing fast edits but for goodness sake don't show them anything that might put them off coming - like the actual music. The future of opera "marketing"? You decide, but it should at least keep those happy that can manage to endure the "Classical" Brit Awards without a compulsion to turn the sound down and play Rammstein over the visuals - or is that just me? . 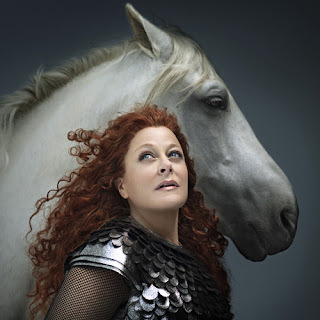 The Metropolitan Opera’s blockbuster production of Wagner’s Ring Cycle may be eliciting pity applause uptown, but a very different new staging of the epic saga in the East Village is earning its performers loud cheers and high-fives from the audience. Performance Lab 115’s “The Ring Cycle (Parts 1-4),” at the Incubator Arts Project through April 29, transfers Wagner’s mashup of German, Scandinavian, and Norse myths from Valhalla to a WWF-style wrestling mat. The opera’s bellowing gods are now the lords of a different ring — outfitted with ‘80s fright wigs and loud costumes of glittering Spandex — who settle their age-old scores in elaborately choreographed fake fights. Improbable though the shift of setting may seem, writers Jeremy Beck and Dave Dalton (who also directs) remain tirelessly faithful to Wagner’s original, and their obvious reverence for the material, combined with an indefatigable cast, make the unconventional adaptation a chest-thumping success. The production opens as the commander of the gods, a Hulk Hogan-esque Wotan (Jeff Clarke), avoids paying the tag-teaming giants Fasolt and Fafner (Michael Melkovic andChristopher Hirsh) their due for having built his new abode. Instead of his promised sister-in-law he offers them the all-powerful ring made of gold stolen from the sultry Rhine maidens. Fafner accepts the ring, offing his brother in a brutal deathmatch that demonstrates its dangerous power. Wotan spends the rest of the show trying to recover the ring by prodding successive generations of his illegitimate offspring — another common trait of ancient gods and TV wrestling patriarchs — to battle Fafner. 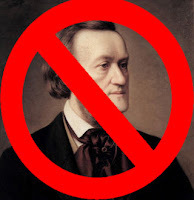 I think, as many will agree, it is impossible to "understand" Wagner without an understanding of the German Romantic movement and its direct "predecessors". With that in mind, I recently came across the following and thought someone might find it useful. Melvyn Bragg and guests discuss the 18th century 'Angry Young Men' movement in Germany, 'Sturm und Drang'. Translated into English as 'Storm and Stress', this short-lived movement was characterised by raw emotion, drama and rebellion. Melvyn is joined by Tim Blanning, Emeritus Professor of Modern European History at Cambridge University; Susanne Kord, Professor of German at University College, London; and Maike Oergel, Associate Professor of German at the University of Nottingham. Due to be published 15 August 2012. More as I get it. Looks interesting however. Details as provided by publisher below. 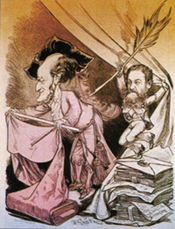 The vast literature about Richard Wagner and his works includes a surprising number of fictional works, including novels, plays, satires, and an opera. Many of these deal with his last years and his death in Venice in 1883-and even a fabricated eleventh-hour romance. These fictional treatments-many presented here in English for the first time-reveal a striking evolution in the way that Wagner's character and reputation have been viewed over more than a century. They offer insights into changing contexts in Western intellectual and cultural history. And they make clear how much Wagner's associations with Venice have become part of the accumulated mythology of "the floating city." 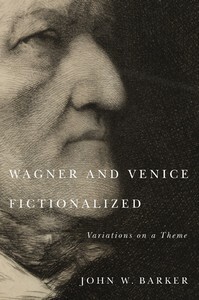 John Barker's Wagner and Venice Fictionalized: Variations on a Theme will be of interest to all lovers of opera, Venice, and European culture generally. John W. Barker is emeritus professor of history at the University of Wisconsin-Madison, specializing in medieval (including Venetian) history. He is also a passionate music lover and record collector, and an active music critic and journalist. What was that about early Wagner being inferior work?